The TTABlog®: TTAB Test: Is FLOSSBONE Confusable With FLOSSIES for Dog Treats? 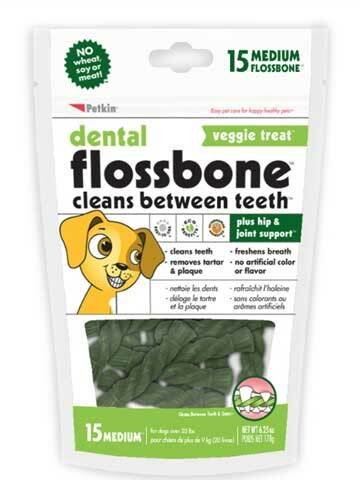 TTAB Test: Is FLOSSBONE Confusable With FLOSSIES for Dog Treats? 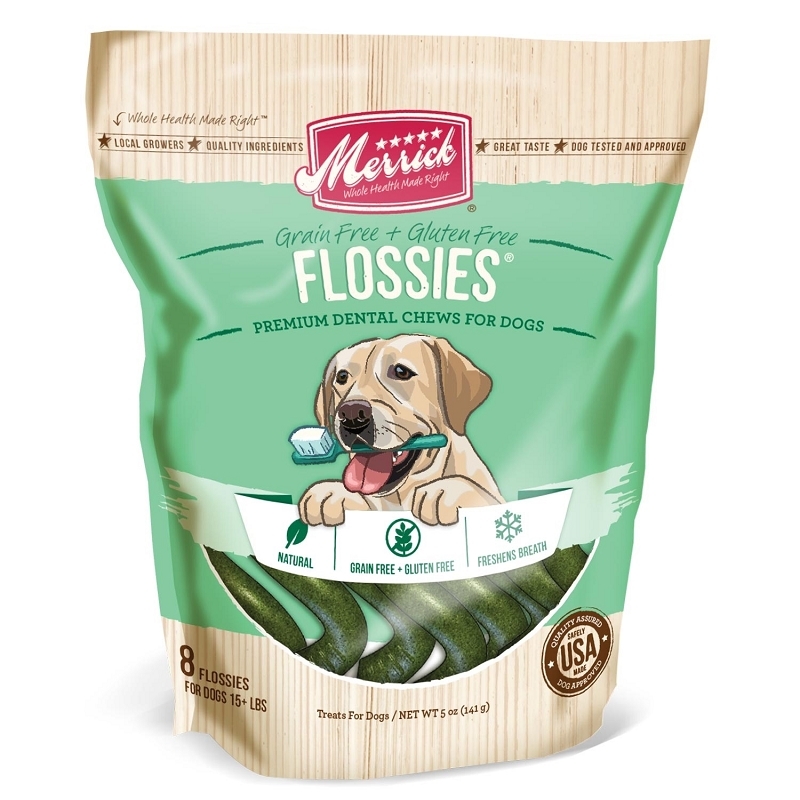 Merrick Pet Care opposed registration of the mark FLOSSBONE for "edible chews for dogs," claiming a likelihood of confusion with its registered mark FLOSSIES for "dog treats." The goods overlap, since an edible chew is a dog treat, but what about the marks? Isn't the word "floss" a weak formative? Or do dogs not floss? How do you think this came out? Merrick Pet Care, Inc. v. Petkin Inc., Opposition No. 91217064 (September 6, 2016) [not precedential]. The Goods: The Board found that "[d]og treats and edible dog chews are the same in that both are edible, likely taste good to dogs and may be chewy. There is no discernible dissimilarity in purpose, use or function of the goods as identified in Opposer's registration and Applicant's application." This factor strongly favored opposer. Because there are no restrictions regarding channels of trade, the Board must presume that the goods travel in the same, normal channels of trade to the same classes of consumers, namely, "ordinary consumers interested in purchasing relatively inexpensive foodstuff for their household pets." Sophistication Applicant Petkin's product is "moderately" priced, while opposer's product sells for five to eight dollars. Although pet owners may care deeply about the health of their pets, the record did not support a finding that buyers would be considered sophisticated purchasers. So this factor was neutral. The Marks: The Board observed for the umpteenth time that when the goods are legally identical, a lesser degree of similarity between the marks is needed to support a finding of likely confusion. Because both marks have the leading element "floss," the marks sound and look alike. They also convey a similar connotation of a product that "flosses" a dogs teeth through the mechanical action of chewing. The marks differ slightly in connotation: opposer's mark may denote the female name "Flossie," while applicant's mark has no such connotation, but this does not suffice to distinguish the marks. Applicant Petkin argued that "floss" is a weak formative because of its suggestiveness. However, there was little in the record to show that people floss their dogs' teeth. Petkin submitted a printout of Google search results showing third-party use of "floss," but the listing was of little probative value since it did not provide sufficient context. It appeared that "floss" is not used to denote a dog treat or chew. Petkin also submitted five registrations for marks including the term FLOSS, but only three were for pet treats and that number was insufficient to show that FLOSS is a weak formative. The Board pointed out that BONE in Petkin's applied-for mark is highly descriptive of the overall shape of its goods. It concluded that the involved marks are similar in overall appearance, sound, connotation, and commercial impression. Merrick claimed that its mark is famous, relying on continuous use since 2000, strong sales figures, and ranking as its number one seller for several years. 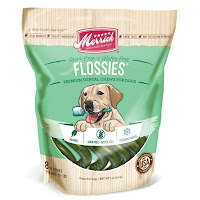 The Board noted that there was little evidence of third-party marks beginning with the term "floss," for dog treats or chews. Nonetheless, the Board refused to find the mark famous, in part because Merrick did not provide any information regarding its share of the U.S. dog treats market. No Actual Confusion: Applicant Petkin's sales were "rather limited," and therefore there was no meaningful opportunity for confusion to occur. In any case, likelihood of confusion is the test, not actual confusion. Ruling: Balancing the relevant du Pont factors, the Board found confusion likely and it sustained the opposition. TTABlog comment: How did you do? Do you floss your dog's teeth? Does it floss yours? The real question here is why did these parties spend so much time and money fighting this instead of settling? Seems like defendant's chances of winning here were incredibly slim. Seems like a lot of show for not much upside. Apparently improperly entered Notices of Reliance, no surveys, and what doesn't appear to be much meaningful testimony. But they decided to have an oral argument? To the extent that this was a proxy for actual litigation, I don't see there being much in the way of estoppel post Hargis. Maybe the goal was to outspend the competition but the decision indicates that this basically could have been ACR.